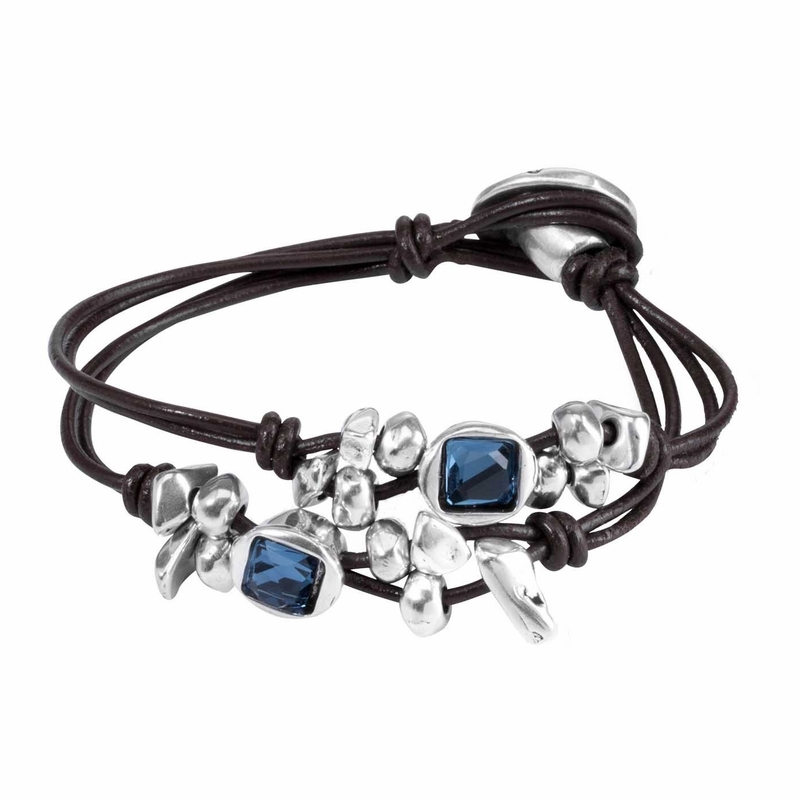 Double leather lace bracelet with two original silver plated metal pieces and blue inlays of SWAROVSKI® ELEMENTS crystals. 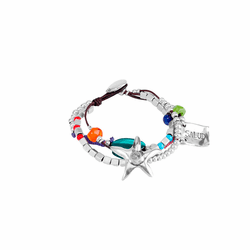 A jewel with a boho touch and simple design that does not go unnoticed. 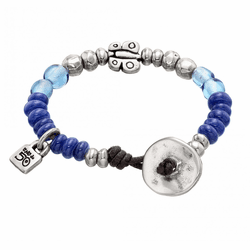 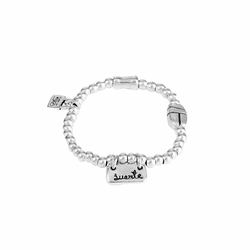 All UNOde50's bracelets are handmade in Spain.